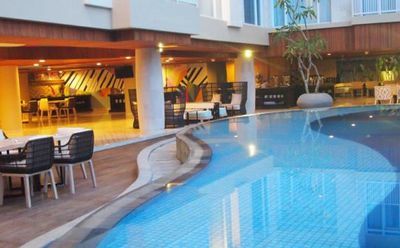 ​Get the best price with TIC BALI HOLIDAYS, This Hotel ideal for fun and relaxation, Bedrock Hotel Kuta Bali is located in the Tuban area of Bali. From here, guests can enjoy easy access to all that the lively city has to offer. 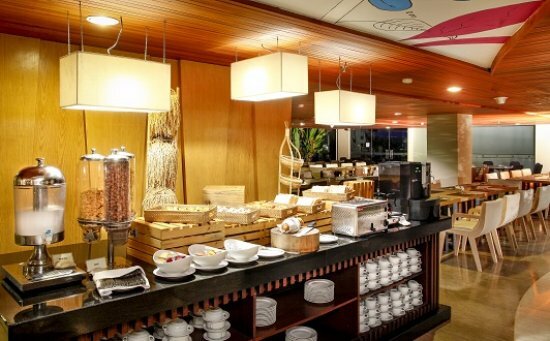 With its convenient location, the hotel offers easy access to the city’s must – see destinations. 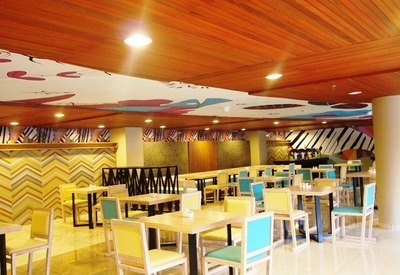 A hotel that brings the excotic Balinese design with the architectural spirit of modernity creating a unique contemporary style hotel. Hotel Bedrock consists of over 159 rooms in contemporary Balinese design that puts the premium class atmosphere, special elements of modernity and comfort. Bedrock hotel offers a choice of 4 types of room : Deluxe, Grand Deluxe, Junior Suite and Luxury Suite with area from 20 – 42m square. 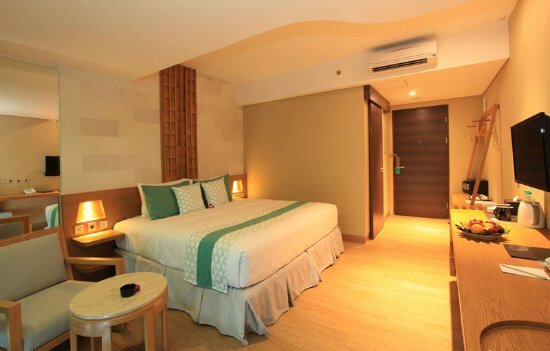 Bedrock’s Superior room presents Balinese contemporary ambiance with luxurious furniture and design. We help you defining Deluxe as comfortable elegance and fineness in a 18 m2 room within full service. Fit for easy traveler and a partner. 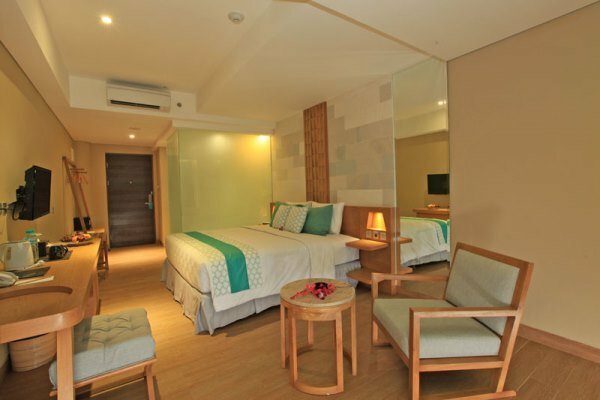 Bedrock’s Deluxe room presents Balinese contemporary ambiance with luxurious furniture and design. 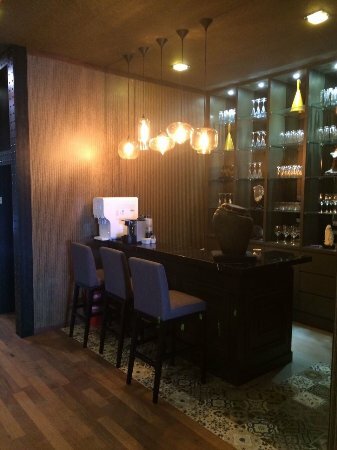 We help you defining Deluxe as comfortable elegance and fineness in a 20 m2 room within full service. Fit for easy traveler and a partner. 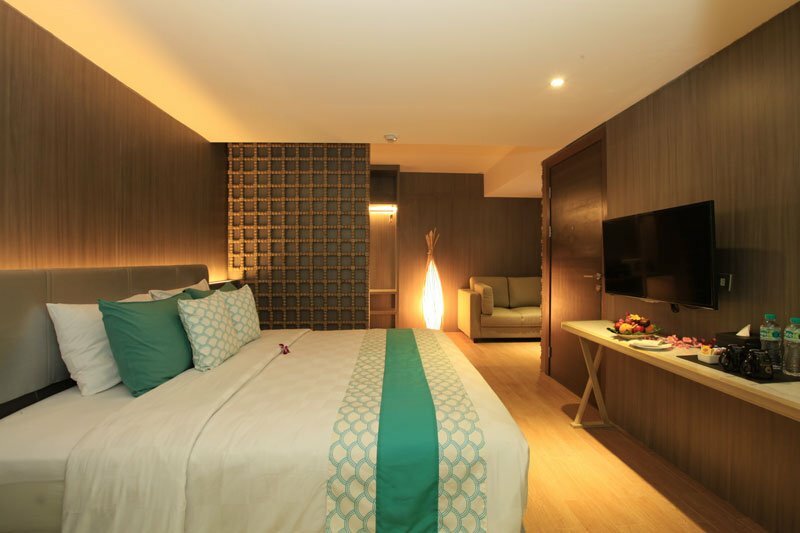 Bedrock’s Grand Deluxe room allows you to experience larger space of Balinese ambiance with luxurious furniture and design. 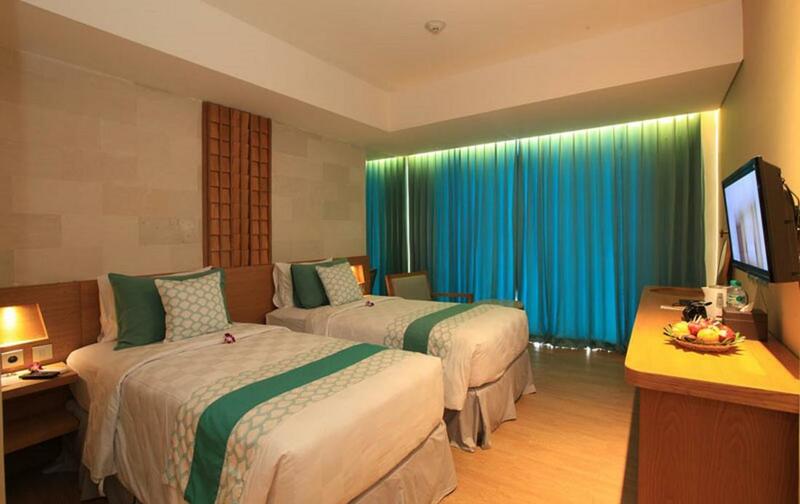 The room is professionally designed with contemporary and elegant architecture, recommended for small family with one child. Bedrock’s Junior Suite room allows you to experience larger space of Balinese ambiance with luxurious furniture and design. 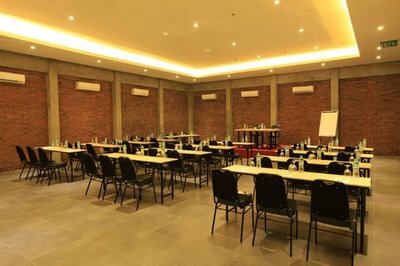 The room is professionally designed with contemporary and elegant architecture, recommended for small family with one child. Bedrock’s Luxury Suite room allows you to experience larger space of Balinese ambiance with luxurious furniture and design. 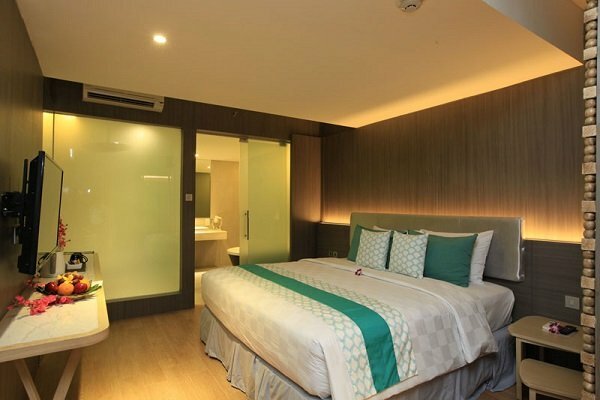 The room is professionally designed with contemporary and elegant architecture, recommended for small family with one child. Bedrock’s Family Suite room allows you to experience larger space of Balinese ambiance with luxurious furniture and design. 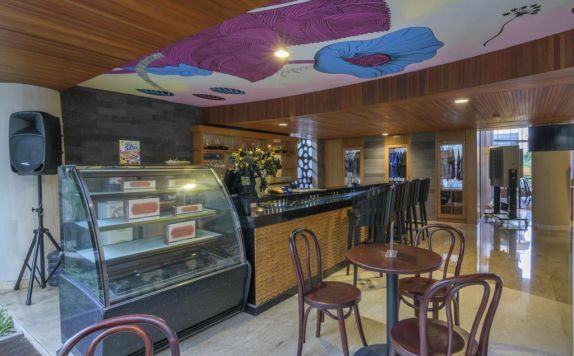 We help you defining Deluxe as comfortable elegance and fineness in a 20 m2 room within full service. Fit for easy traveler and partner. Bedrock hotel has lobby with a swimming pool, poolside café, shop, bar and lounge, gym and 3 meeting rooms with 24 hour security facility advance security system, fire system and modern Wi-Fi connection in public areas of the hotel.